Today has been wetter than wet, dark and dreary, and with wind thrown in for good measure. It has not been a day to be out and about, although that didn’t stop my French neighbour Pierrette, who took her bike out, despite being in her late 70’s, suffering from a heavy cold and admitting to doing more walking than cycling thanks to flooded paths and gusts of wind. 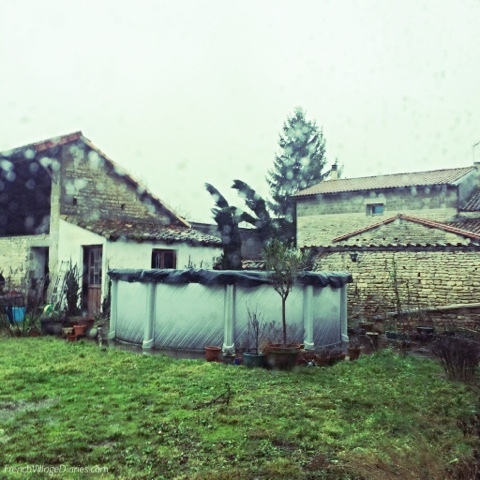 I’ve been safely indoors, planning what to read as tonight in France it’s #NuitdelaLecture or Reading Night. Bookshops and libraries all over the country are holding evening events where all things book and reading will be celebrated. It’s too yukky for me to venture out, but that doesn’t stop me planning a cosy night in, cocooned from the weather, doing what I love best; reading. 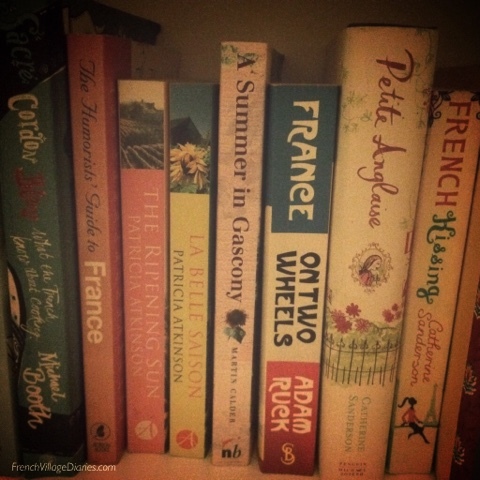 In case you too are seeking a shelter from the weather and fancied some reading ideas, here is a list of the most popular books (set in France) I shared here and on my Facebook page last year. Amazon very kindly lets me know how many books have been bought via my associate links – don’t panic, this doesn’t cost you any extra, but they generously give me 4p for every £1 spent, money I invest back into books set in France. My Good Life in France by Janine Marsh, a memoir about life in rural France, read my review here. The Little Paris Bookshop by Nina George, a fiction novel set aboard a floating bookshop. I really enjoyed this book, review coming soon. France in Four Seasons by Karen Wheeler, a collection of snippets of life in France, read my review here. But You Are in France Madame by Catherine Berry, a memoir about an Australian family trying out life in the Alps, read my review here. Summer at the Little French Guesthouse by Helen Pollard, a novel set in the Loire Valley, the final book in a superb trilogy, read my review here. La Vie En Rose by Susie Kelly, snippets of Susie’s life in rural France, read my review here. Nice Work (If You Can Get It) by Celia Imrie. I really enjoyed her first novel set in the south of France and this one has sat on my to be read pile for far too long. Note to self, move it up the pile. Late Summer in the Vineyard by Jo Thomas, a novel that I snapped up on an Amazon price deal, but have not yet read. The Woman Who Met Her Match by Fiona Gibson, another novel waiting to be read. Pensioners in Paradis by Olga Swan, I follow Olga's blog and really must read this memoir soon. Tonight I will be reading Peter Mayle’s The Vintage Caper, a novel from the master of memoirs set in France, who we sadly lost this week. I know I’m not the only one to have devoured his memoirs set in Provence, watched the TV series and the film. He inspired many of us to try and find our own little corner of France and quite a few of us to write about our adventures too. Thank you Peter. Whatever you are currently reading, I hope it's a good read.